Top Foods aims to create and maintain long term relationships with key retail customers to better the lives of consumers by representing a range of high quality and innovative international products. With a deep commitment to customer needs, we offer a range of services that compliment necessary retail requirements and demands. Since first opening its stores in 1924, Woolworths has grown into a household name with a presence in almost every metropolitan and regional centre in Australia and New Zealand. For over 90 years, Coles has delivered quality products, great value and outstanding customer service to millions of Australians whilst working towards a sustainable future involving long lasting relationships with suppliers and local consumers. Providing consumers with the highest quality products at the lowest possible prices, ALDI has been operating internationally for over 50 years. With over 300 stores in Australia, consumers have adopted the company’s philosophy of great value for all consumers. From its origins in 1920 as a small, family business, Metcash has grown to become Australia’s leading wholesale distribution and marketing company specialising in grocery, fresh produce, liquor, hardware, automotive parts and other fast moving consumer goods. Big W offers ‘Australia’s Lowest Prices Everyday’ with a chain of over 182 discount department stores across Australia. Stocking the brands consumers know and love while delivering value daily. Operating as one of Australia’s favourite and most recognisable discount stores, Kmart has over 170 stores in Australia and 15 stores in New Zealand. Offering the lowest prices possible on everyday items that consumers love. 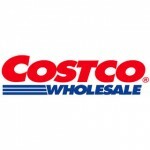 Costco Wholesale Corporation provides shoppers with quality, brand name merchandise at substantially lower prices than are typically found at conventional retail sources. As a membership warehouse, Costco sells to small-to-medium sized businesses as well as individuals for their personal needs.